They say that the heart of any home is the kitchen. Well, the same goes for camping. The kitchen is the hub of action while at your camping site. 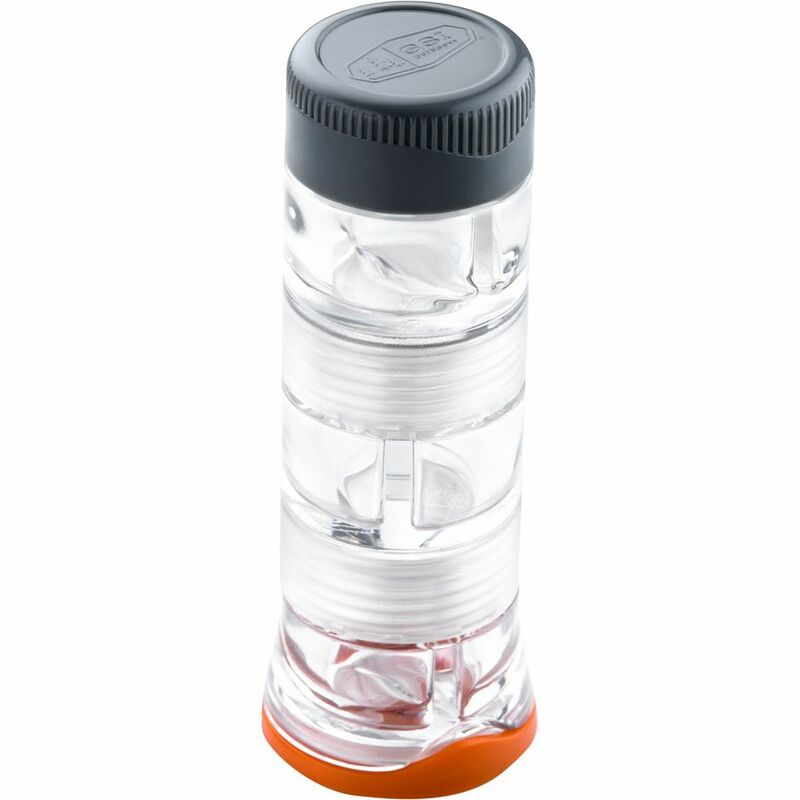 It serves as both entertainment while you are hanging out, and as necessity to help fuel your camping adventures. We have put together a list of all the essentials you will need to stock you camp kitchen. You won’t want to forget these items on your next trip! A table to set up your cooking station is essential. You may not have a table when you camp so it’s great to bring your own. This folding table is perfect for travel and it offers several surfaces for organizing you kitchen work space. We prefer a 2 burner table-top stove for our camp kitchen. The 2 burners are great for when you need to cook several items as once, like coffee and pancakes for breakfast. This is a great stove for 1 person but it will also be great for a group. Just don’t forget to pack the gas for the stove! This double sided grill/griddle is perfect for camping. You can cook a wide variety of meals with this duel purpose item. You can also use it in the fire if you prefer that over cooking on the stove. You are definitely going to need dining ware to eat your food. These plates are great because they are extremely durable. They will last you for years! You are also going to need a bowl for your camp kitchen. This bowl is also extremely durable as well. It will last you years, versus the plastic varieties. Eating utensils are very important for the camp kitchen as well. This set is great because you could use a key ring to keep them all together. Avoid being stuck eating with your hands but packing these! If you are a coffee drinker, than a percolator is a must! You don’t have to struggle just because you are camping! Bring ground coffee from home and you will be so happy you did. There is nothing better than a slow morning with coffee while camping! No coffee or hot drink set up is complete without an insulated mug. This mug will keep you drink hot for hours, or cold if that’s what you’re into. You can spend your mornings enjoying hot coffee or sip hot chocolate by the fire all evening. A nice cooler will make of break your camp kitchen! With this amazing cooler, you can bring fresh items like: milk, eggs, bacon, cheese, etc. Having great food while camping is essential and this cooler will allow you to bring all the perishable ingredients you need! A large water jug is essential for your camp kitchen. You will want to fill your just with water before arriving at camp, in case you do no have access to water. This large jug will provide you with water to cook, clean, and drink. A pot is needed in every kitchen, and a camping kitchen is no exception. This pot is easy to clean and the handle holds for easy storage. Pans are another essential camp kitchen item. This pan also has a folding handle and nonstick surface that makes it very easy to clean. If you are someone who loves Dutch Oven cooking, then you will not want to skip purchasing this set! Dutch Oven cooking it really nice because you can also do it on the fire, so it can free up the stove for cooking other items. Be prepared for any meal by packing these essential cooking utensils. These tools are plastic because if you are purchasing a nonstick pot of pan, you don’t want to scratch it by using metal utensils. A cutting board is a necessity for your camp kitchen because it helps to keep your food and cooking surface clean. It is something clean to cut on and it will also keep things like raw meat from touching other things. This collapsable kitchen sink is great for cleaning up your dishes after a meal. You can also use it as a hand washing sink as your prepare your meal. It folds down to a small size, making it very convenient to pack. If you are someone who like to make drinks will you are camping then this is perfect. 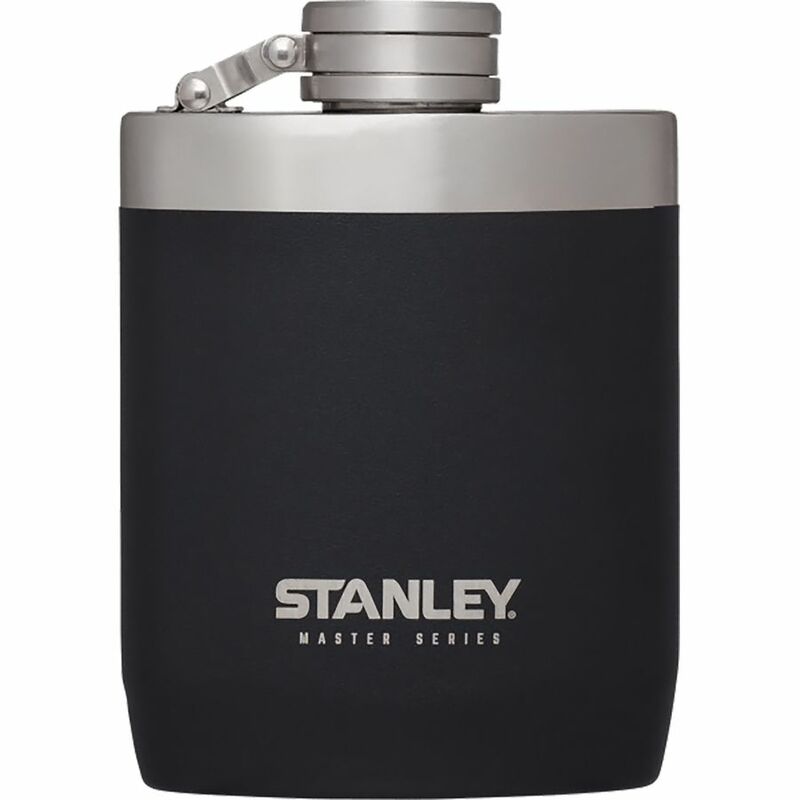 Pack your favorite whiskey for sipping around the fire, or take it with you on a daytime adventure! If you are more of a beer drinker than this growler is perfect! It will keep your beer fresh and cold for a long time. Stop and fill your growler up on your way out of town to enjoy good beer upon arrival to camp. This insulated pint glass is a dream for any beer drinker! It will keep your beer cold all night. If you are not a drinker, this is still a perfect glass for camping. It’s great for keeping any drink cold. For all the wine drinkers, this wine tumbler is a must. Skip packing the wine glasses with stems. This one is much easier to pack. It also includes a lid so you don’t spill you wine! Don’t get to camp and end up not being able to open your drinks! Pack this combo tool to open any wine or beer bottle. This essential tool is another thing you don’t want to forget. Don’t get to camp without the tools to open your cans! Can openers are one of those tools you may forget about but you will be very upset if you don’t pack. A great knife is essential to a camp kitchen. We prefer this kind over a utility knife because of the long blade that makes it great for chopping. Now camping trip is complete without S’MORES! This roasting stick is perfect for roasting marshmallows because it extends out far into the fire so you can get it close to the heat. You can also use it to roast other food like hot dogs! Waterproof matches are essential for starting fire or lighting your stove. Having waterproof matches assures that they won’t get damaged in the rain. You don’t want to be stuck without fire on your next camping adventure! Spices help to enhance any dish and you will not want to forget your spices when you are packing your camp kitchen. Bring a few of your favorite with this spice container that offers multiple containers.